Many organizations worldwide are engaging in electronic invoicing with their suppliers over the Ariba Network. Ariba automatically matches and validates your invoices prior to going into your ERP financial system. In essence, Ariba is acting as a workflow solution sitting in front of your ERP financial system. While electronic invoicing can eliminate many paper and electronic invoices, there are always leftovers that require capture, data entry and pushing into the Ariba Invoice solution. All Star provides the tools to assist with these leftover invoices that can comprise a large amount of invoices. You will be able to accomplish the following with the All Star invoice capture solution. Accounts payable invoices are being captured with Kofax Capture via direct scanning (for paper invoices), with the Kofax Import Connector for Email add-on utility and with the All Star Advanced Capture tool (EDI and DB transactions). Invoice email attachments being produced from most ERP systems are in the format of PDF+Text and therefore do not need to be OCR’d which improves the data extraction significantly. Kofax Transformation Modules (KTM) is then used to classify the invoices and determine what vendor the invoices originated from, as well as extracting the invoice header and line item detail. This is done without the use of templates per supplier. Once completed, the invoice and its extracted data are presented to the user within the KTM Validation module. This customizable user interface allows for the complete data entry (via extraction or manual data entry for items that are not on the invoice) of the invoice, PO line item matching capabilities (for PO based invoices) and GL account coding functionality (for non-PO invoices). After the invoice data has been entered in full and validated, the All Star Software Systems developed Kofax Export Connector to Ariba Invoice Professional allows for the conversion of invoices and the indexed data into cXML. The Open ICS protocol is then used to deliver this converted cXML (containing the invoice data and optional TIF or PDF attachment) to the Ariba Network. Once in the Ariba Network, the invoice will be posted to the correct supplier and users will be able to review and approve invoices and manage exceptions with Ariba Invoice Professional. 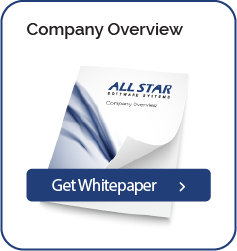 All Star’s solution is the missing link to completing 100% of your invoices into the Ariba Network. This solution will provide the ability to capture invoices from any source that is not a part of the Ariba Network. This solution makes invoice processing as touchless as possible while eliminating 80% – 95% of data entry associated with AP invoices. The integration with the Ariba Network is done using Ariba’s preferred integration techniques complete with error and exception reporting. The solution also allows bi-directional release not only to the Ariba Network, but also to your ERP financial system and/or your content management and workflow solution if not Ariba.